Acne is something the majority of us will suffer in our lifetime! Mainly thought of as a teenagers issue is simply not the case. Many of us turn to facials or at home creams to help but can a facial really cure acne? Acne and spots are caused by bacteria on the skin, which may be caused by blocked pores or underlying issues. Finding out what causes your Acne is an important step in helping to treat it. Can A Facial Help Acne? Though standard product facials are good for a surface treatment they can’t affect the cells of our skin. For any real surface results, the facial would have to be done in multiple treatments. The HydraFacialMD, however, is no mere facial. How Can The HydraFacial MD Help Acne? 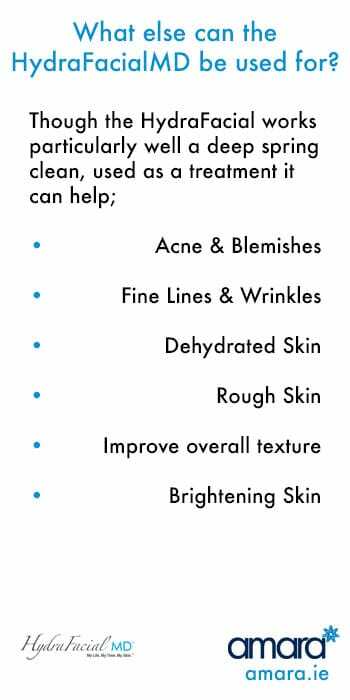 The HydraFacial is specifically tailored for your skin so it, of course, can be tailored for Acne!. 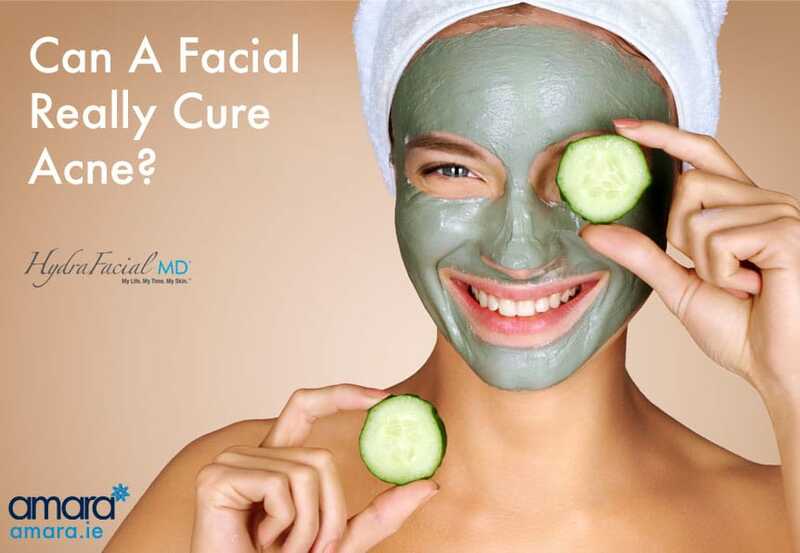 The HydraFacialMD exfoliates away dead skin which can block pores and lead to acne and breakouts. Salicylic acid solutions are used to clean the skin which is the best ingredient for fighting acne and extracting impurities. Impurities are also manually extracted preventing future breakouts. The patented vortex nozzle uses suction to remove impurities and clear out pores. Different strengths of acid peels are used with salicylic acid and glycolic acid to remove impurities in the skin and help calm down active acne and spots. Serums and peptides are added to the skin to help hydrate the skin after the treatment. Hydrated skin will produce less sebum and oil which is a cause of blocked pores and acne. The treatment ends with LED light therapy; Blue Light is used to kill bacteria on the skin, this will help kill any spots beneath the surface and prevent them from pushing through. A proper extraction of impurities will also help prevent scarring. Different strengths of serums and peels can be used on every treatment depending on what you and your skin health therapist decide. How Many Do HydraFacial MDs I Need To Have? For starters, it’s important that your home care routine is targeted towards acne. Multiple treatments of the Hydrafacial MD will allow your skin to absorb products better, (healthier skin is easier to treat). Though you will notice a difference after just one treatment a course is recommended for conditions such as Acne. Many people prefer to go with the Clear Skin package which offers HydraFacials, Rejuvapen Microneedling and the full ZO skin plan. How Do I Get The HydraFacial? Our HydraFacials are performed by our experienced skin therapists who are fully knowledgeable in all things skin! From September 25th – 29th 2017 we have an amazing offer for first time HydraFacial clients. Just €50 for a mini (no LED Light Therapy) or €99 for a full HydraFacial with LED light Therapy (RRP €250!). Book now to reserve your place with Joanie and mention the offer when booking. Places are limited so call now!